It was never a question of if we were going to Oregon to view the eclipse, but how we were going to get there. 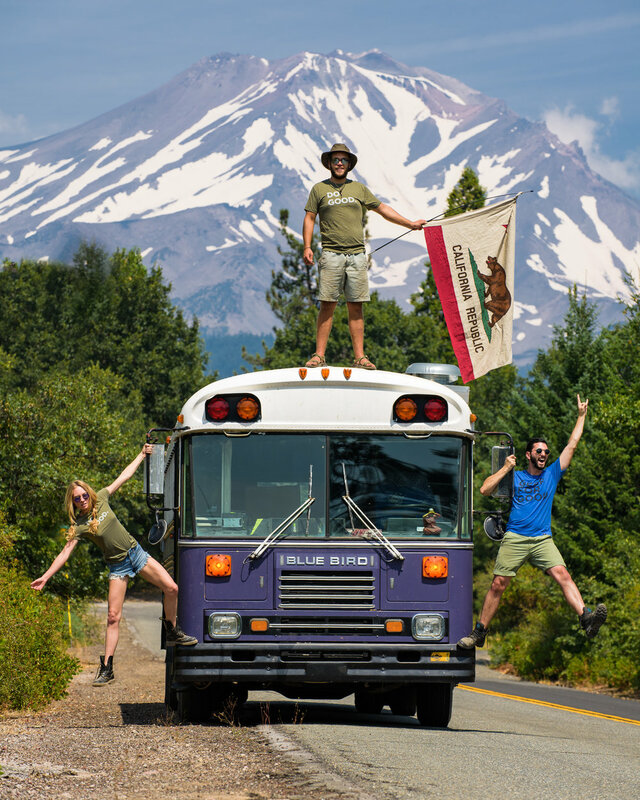 Seeing as most everyone in the crew was recently plagued by car troubles, the only logical solution was to load up our trusty purple 35' Blue Bird school bus and set out on the 1,000-mile round trip excursion from the Bay Area to Big Summit Prairie. Our mission: stand in the shadow of the moon. Five friends, camping gear, photo equipment and a whole lot of stoke brought us together to witness this rare celestial event, and none of us really knew what to expect other than the moon would completely block out the sun for 98 seconds at 10:55:55 AM on August 21. Everyone was excited, anxious and, eventually, in awe. The course was set for the Global Eclipse Gathering, a 70,000 person event mixing art, music and a community excited to share an out-of-this-world experience. Throughout our pilgrimage, we were able to connect with strangers and relish in the excitement of what was to come. The ultimate icebreaker an automatic conversation starter with anyone we met on our journey. We rendezvoused with a 12-car caravan in the nearest town of Prineville at 1 pm for a 40-mile jaunt to the venue for what would ultimately turn out to be the beginning of a 15-hour slog to the site. Come 3 am we claimed our camp at the corner of Sun and Eclipse. Of the many photos you may have seen of the eclipse in totality, the sky appears entirely void of color or light. Rather, a 360 degree view of a beautiful sunrise/sunset captures the peripherals; a dancy dot in the sky surrounded by a beautiful indigo backdrop. As a friend eloquently stated, "It was a once in a lifetime experience - except you learn that people are eclipse chasers; for some people this was their fifth or more eclipse. If you stay in one spot for your whole life then this was a once in a lifetime opportunity." The journey was epic, challenging, stressful and exciting, but we were proud to have made such a transformative trip to share with friends and strangers alike. It was a unified gathering of the human community shared from coast-to-coast, a welcomed feeling of palpable anticipation and excitement for everyone to enjoy.